Here's what I did with my Afterschool visits in November! 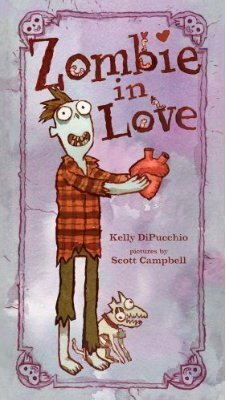 Zombie in Love by Kelly DiPucchio, illustrated by Scott Campbell. Atheneum, 2011. The kids LOVE this book and even remembered it from last year and requested that I bring it again. I read this to the group I saw right before Halloween. A zombie, having no luck with the ladies, puts out a personal ad and invites anyone who would like to meet him to show up to the Valentine's Day dance, with hilarious results. The illustrations are slightly creepy and the kids go nuts over it. I only wish the book was a little bigger so they could see the illustrations better. The text is a perfect length for sharing with the afterschool crowd, too. With the popularity of zombies right now*, this is a book that will have wide appeal, even outside its school-age audience. 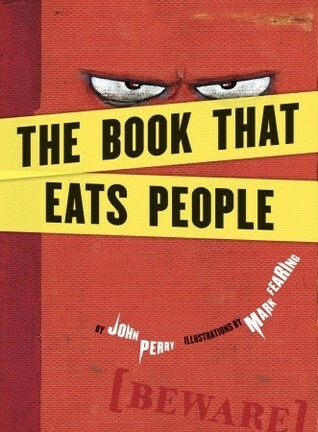 The Book That Eats People by John Perry, illustrated by Mark Fearing. Tricycle Press, 2009. 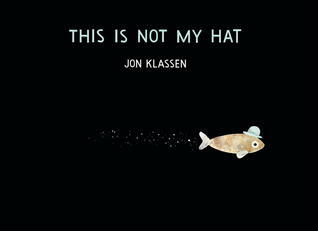 This is Not My Hat by Jon Klassen. Candlewick, 2012. For our craft this month, in an effort to do SOMETHING that's not scratch art, we made I-Spy collages. We had volunteers cut up tons of old magazines and catalogs and brought bags full of the pictures and half-sheets of cardstock for the kids to make small collages. We chose to do half-sheets to cut down on the craft time since we usually only leave 15-20 minutes for the craft, but the kids got into it and I think they would have loved to do full sheets. We also brought glue with us. We didn't have enough glue sticks for everyone to have one, so we brought liquid glue bottles and poured out small amounts into coffee filters and gave all the kids q-tips to use to spread the glue. This is a cheap and pretty easy way to do glue with large groups and then we could throw away the coffee filters and q-tips so we didn't have anything messy to pack back up. Glue sticks or glue dots would also work. The kids loved sorting through all the little pictures and picking out ones to add to their collage. They especially liked pictures of animals and of any kind of recognizable characters. This was a fun and cheap craft, definitely one that's going into our roster for the afterschool visits. THE 13TH SIGN Preorder Contest! Got an Awesome Teen Program?